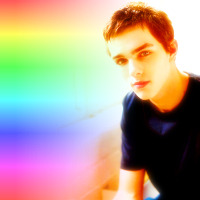 Nicholas Hoult. Actors Icontest, Theme: Wearing Black. Images in the Nicholas Hoult club tagged: nicholas hoult.